“Once A Runner” by John L. Parker, Jr. 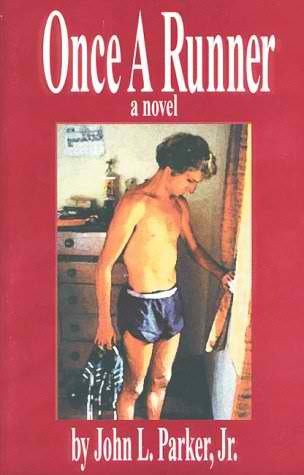 This book was first published in 1978, at least one year after the “Complete Book On Running” by Jim Fixx was published, and it was written as a novel about a mile-runner, Quenton Cassidy while he was studying to earn a College Degree with a time setting in the mid-70s. It was mentioned that the author had sold copies of this book on the back compartment of his car every time he attended road races during weekends and copies of this novel had been circulating from one runner’s hand to another. Looking at the profile and background of the author, this novel could be easily analyzed as the author’s personal account of his life as a college student and a passionate runner who would like to cross the barrier of sub-4-minute mile during those times. Elite runners, ultra trail runners, and runner-authors/writers have considered this book as the best book ever written about running. I’ve read this book’s title being mentioned by most of the runner-authors who considered this novel as the best story being written about a runner. They say it’s a “classic”. Others would say that you are not a full-blooded runner if you don’t have a copy or have read this book. It is also being mentioned as part of the Runner’s Etiquette/Rules for a runner to have read this book if he is really a true runner. It is for this reason why I had to buy this book when I had a chance to see one at the Zombie Runner Store in Stanford, California. I was not frustrated when I found out that the book speaks for itself. It is really the best book for a runner and every runner should be able to read it. I’ve repeatedly read this novel for three times already. This is always my companion whenever I travel from Manila to other parts of the country when I board the local flights. Wow! Talk about a great book to read. I would love it if you could share quotes from the books that you read since this book is not available here. 60 X 400 Speed Interval Runs in One Workout!!!
. . . after which he had to pee blood that night due to that workout, right tio? yes, you are right! i am glad you were able to read this classic book. I read this a few weeks ago. His training in the woods was classic. And the prose during the final run was great. A truly wonderful read.